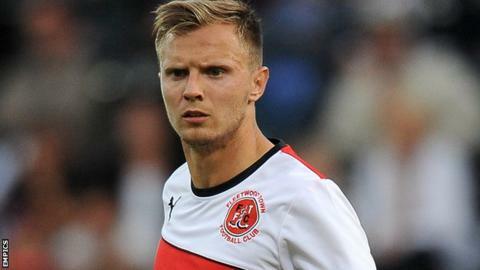 Striker David Ball has signed a new two-year contract with League One side Fleetwood Town. The 25-year-old former Manchester City trainee joined the Cod Army in 2012 from Peterborough, but his previous deal ended this summer. Ball scored eight times last season as Fleetwood finished 10th, their highest placing in the Football League. He will now be available for their season opener at home to promoted Southend United on Saturday.